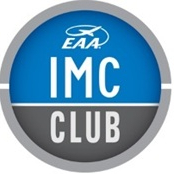 The first Evansville EAA Chapter 21, Inc. IMC Club meeting is this Saturday, February, 9th at 3EV starting at 0730 local. The field will be wet and sloppy so what better time to do some serious hangar flying? All are welcome. We'll take a few minutes at the start to preview the meeting format and then get right to the various scenarios and questions for discussion. I understand that the Chapter has graciously offered to supply the mandatory donuts required of all early Saturday pilot meetings. Again, students, VFR and IFR rated pilots, the idle curious and aviation enthusiasts wanting to learn something - everyone is welcomed. See you there. Thanks to everyone who attended the IMC Club meeting this monring at 3EV. And a special thanks to EAA Chapter 21, Inc. for supplying the donuts and coffee. Attached is the presentation and handouts from this morning. In addition, I've attached the ASRS link and reporting form we discussed today. We shall plan on 6 meetings in 2019. Future improvements will include: longer advance notice of meeting, Member suggested scenarios and obtaining FAA Wings credit for attendance. 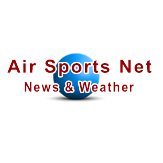 Any additional feedback or suggestions can be directed to me at rhinoceros@twc.com.